Are you looking for a collection of smaller children�s wall decals to create your own custom wall murals? We now offer reduced economy-sized single panel collections of some of our most popular individual stickers. Dinosaur Wall Stickers includes Triceratops, Stegosaurus, Tyrannosaurus rex, and Gallimimus selections, as well as little baby dinosaur popping out of eggs. 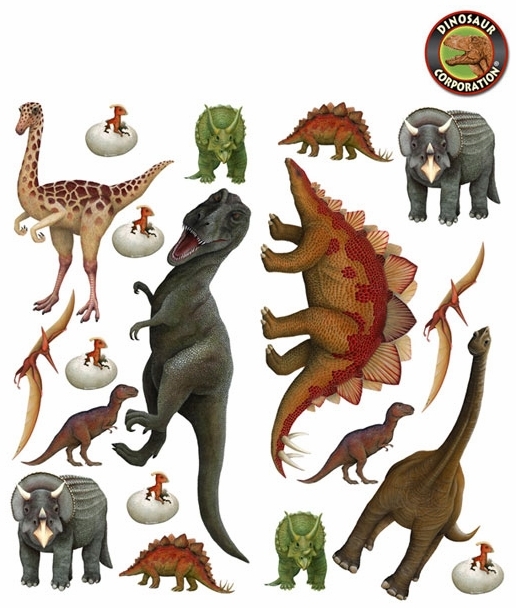 * Self Adhesive Dinosaur Stickers - Just Peel and Stick! * Deep, rich colors accentuate hand-painted detail.